This muffler will work great on most vehicles where a side exit exhaust is desired or on the new Corvette in the stock location. The SCS is the standard muffler for all our Side Exit Systems. Excellent horsepower results with an AWESOME and UNIQUE sound, without a doubt the BEST REVERSE FLOW muffler ever made! This is the same size case as our small SC muffler, and they have excellent results. The DSC is the next generation which makes the same power just quieter. 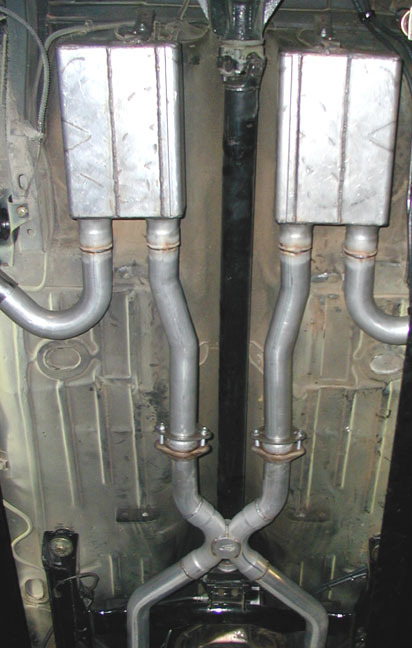 SPINTECH uses this muffler in it's C5 Corvette Cat-back system, with a dual outlet with a 4 tip configuration.